Katie writes, "I have way too many pictures of my adorable pets being adorable, but I've narrowed it down this one. 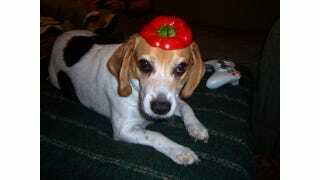 The bell pepper beret effectively demonstrates his ennui." Image via email.